Families need a way to privately share and archive their history, beliefs, stories, and memories to preserve their legacy. An easy to use mobile based platform that allows families to collect, share and celebrate the memories, stories and beliefs that bring them together as a family. 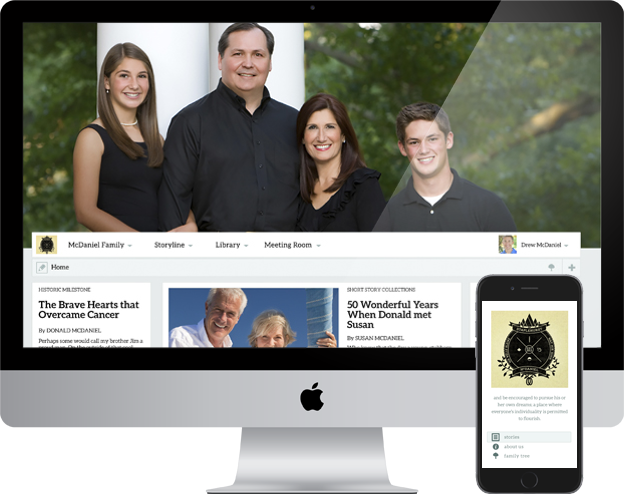 Family Circle is the place to build a family tree, curate stories, share and archive social posts, and celebrate your history and legacy with the entire family in one place. FamilyArc was just an idea, a dream of something bigger.